Taxation specialist Dr Deborah Russell and Fat Studies researcher Dr Cat Pausé, both feminists and avid social media practitioners, are advocating for greater recognition of the value of what they call “sociable scholarship”. A paper they’ve co-written on the topic: Sociable scholarship: The use of social media in the 21st century academy, has just been published in the inaugural issue of the Journal of Applied Social Theory. Academic search and resource sites Google Scholar Citations as well as ResearchGate and Academia.edu – all designed for hosting and sharing new research – reflect how the Internet has changed the nature of academic research over the past 20 years, opening it up to make it more accessible and accountable, particularly to those the research is often about, they say. The advent of social media has changed the game even further, as more information is communicated and shared across non-traditional platforms to more people, contributing to broader conversations and public debates. Another impact is that marginal voices are able to challenge research conventions that they may feel misrepresent their experiences and views, say Dr Russell and Dr Pausé. And when it comes to language, forget the complex, jargon-heavy traditions of scholarly writing – intellectuals are adopting a simpler, informal and more personal style that is a winner across social media platforms. The pair, friends as well as academic colleagues, first raised the issue of how social media was having an effect on academic research at a Vice-Chancellor’s symposium in 2011. Six years – and loads of tweets, posts, shares and likes later – they felt the time was ripe for an academic report on the topic. Many academics shun social media, fearing it would be too time consuming as they observe younger people constantly checking for updates, notifications, tags, posts etc. But Dr Russell says while it doesn't have to be all-consuming, social media may not suit every academic. “You’ve got to garden it, you’ve got to keep on looking after it all the time,” says Dr Russell, who left her teaching position at Massey’s Manawatū campus recently for her new role as the Labour Party candidate for New Lynn. Commitment is required, but it’s also fun crafting a clever, smart or funny tweet – whether on a personal or an academic matter, she says. They predict that a few decades from now, most academics will be using social media as part and parcel of their work because they have grown up with it. 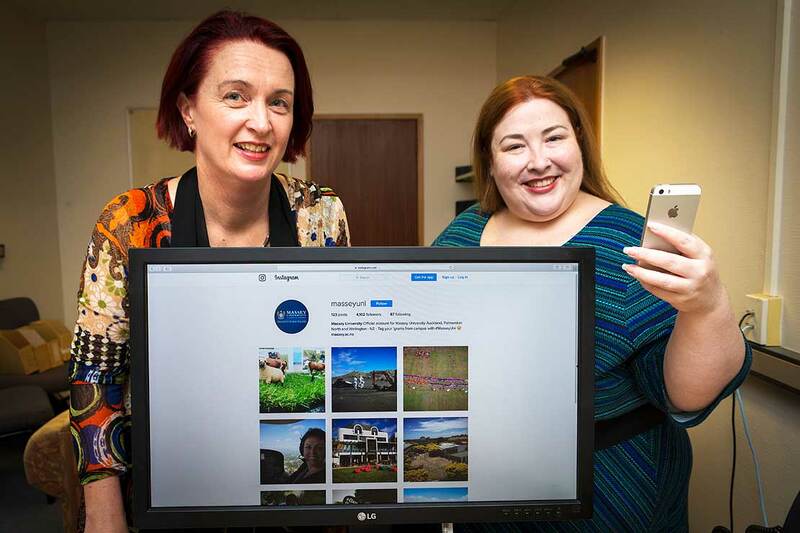 Being an academic can often be insular, and social media enables you to connect with others working in the similar field and provide new opportunities for research projects and knowledge sharing, they add. Being active on social media has reaped academic benefits for both researchers. For Dr Russell, a Twitter conversation led to her writing a book on taxation as part of Bridget Williams Books’ essay series. Dr Pausé has made international contacts from Kenya to Cairo in the field of Fat Studies through her Access Radio podcast. Dr Andy Towers, a senior lecturer in the School of Public Health, is another avid social media user at Massey. He says the benefits to his academic work in applied research include connecting to and sharing information and ideas with public health policy decision-makers, researchers and non-governmental organisations outside academia. Twitter – as well as ReseachGate and LinkedIn – provide him with important links to a wider range of contacts that enable him to keep up to date with public health debates and policy evolution. Through social media, he has been able to widely publicise his recent research, including a published study of older drinkers and a blog for The Conversation – an online commentary and news site written by academics for a general audience on topical issues. His Twitter activity has lead to his being contacted to write blogs for British health networks and advise UK academics on alcohol research in New Zealand. And that means a lot to these Palmerston North academics. Read the full article here. Dr Cat Pausé: Twitter @FOMNZ and multi-media platform Friend of Marilyn.